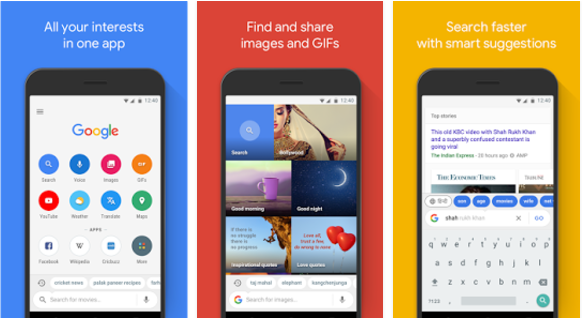 Google today announced another new app – Google Go a polished version of Search Lite that does basic Google Search with a simple, easy interface that’s less than 5MB in size. It is designed to be load quickly even on a low speed internet connections and less storage space. It is optimized to save up to 40 percent on data during search in multiple languages. On a single tap, it will provide the latest trending topics. another feature is to Tap on “Images” or “GIFs” to find the best photos and animated greetings to liven up your chats. India has more than 400 million internet users, and Google is increasingly looking to Asia as more and more users from developing markets in that region come online. Google notes that though these features are India-first, they aren’t just useful to people in India, but help the company to build better products for everyone.